The many attractions to be found throughout the province of Alicante often mean one forgets to make a stop in the capital itself. So why not plan a stay in the city of Alicante and experience its extensive history, parks, city beaches and top it all off with the main event of the year, the festival of ‘Las Hogueras de San Juan’ (The bonfires of Saint John). 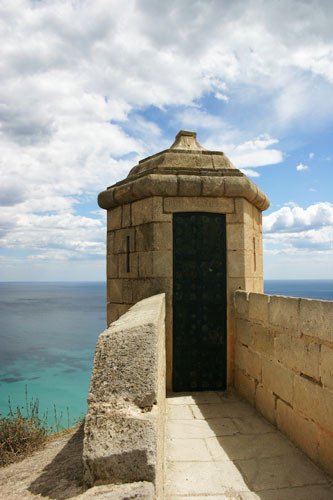 Alicante is the capital of the Costa Blanca and should be visited at a relaxed pace. 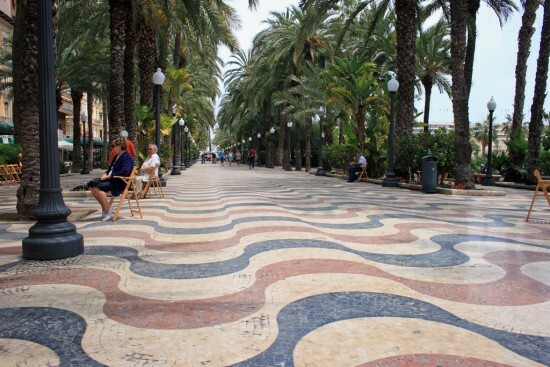 Whilst being very well connected with the rest of the Valencian province via the AP-7 highway, and elsewhere with one of Spain’s most important airports, it offers all the charm of a small but exciting city. At Proyecto Español students of Spanish are warmly welcomed in and are invited to experience the Mediterranean way of life, with staff always on hand to give extra advice on how best to immerse yourself in the surrounding culture. Known as “Lucentum”, city of light, by the Romans, Alicante is a small city with just over 300,000 inhabitants, but it is full of attractions spread around the city including numerous parks, amongst which stand out el Paseo de Gómiz, el Parque de Canalejas, or la Explanada de España; monuments and historical architecture such as the Santa Bárbara Castle, the Cathedral of San Nicolás and the Santa Faz monastery; as well as first class natural sights such as the nearby island of Tabarca, Spain´s first marine nature reserve. June is perhaps the ideal time to visit Alicante and see it in all its splendour, as that is when the city’s main festival, las Hogueras, is celebrated, taking place in the 4 days leading up to and including the 24th June, the day dedicated to the celebration of Saint John. For 2015 however, the City Hall has moved the start date forward to Friday 19th June, so as to make the most of the weekend for the street parties and festivities that fill the city with life after the unveiling of the sculptures, the building of which is organized by independent local committees. 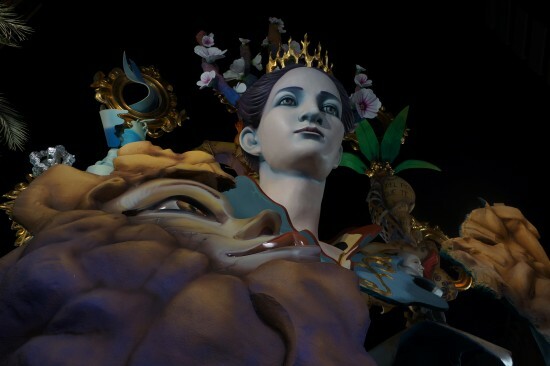 Las Fogueres de Sant Joan (name of the bonfires in Valencian dialect) are short-lived structures similar to las Fallas in Valencia, the burning of which marks the end of the celebrations. A Festival of International Touristic Interest since 1984, its origins go centuries back to when the burning of old wooden containers was ritually performed to welcome in the Summer Solstice. Nowadays the large sculptures that constitute the bonfires are found dotted around the city and in the nearby villages, although the ones that attract the most attention are the 11 that are grouped in the ‘Sección Especial’ due to their particular artistic merit. Alicante is truly a charming city. As a centre of tourism, it combines the past, with the many historical nooks and crannies of the old centre, well looked after and full of life with bars that stay open until the early hours, with the modernity of the shopping areas and the city´s thriving university. Not to mention of course, the beaches in and close to the city such as la playa del Postiguet, la playa de San Juan and the coves of el Cabo de las Huertas. Glimmering with tranquil blue and white, it really is an ideal lookout onto the beautiful Mediterranean Sea.